Do you know how to run a contest? Are you thinking of launching a giveaway but aren't quite sure how to go about it? Whether you’re a small business or a large one, you should have a strategy in place for running promotions on your website. 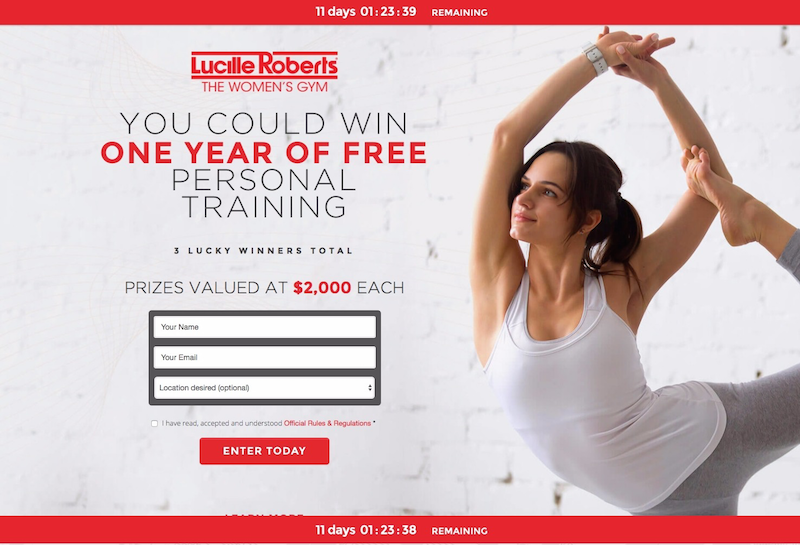 Contests provide incentivized interaction that can drive traffic to your site, generate new email leads and (if you have a complete campaign strategy) make sales. I’ve seen a lot of companies use a contest strategy with resounding success. I’ve also seen epic failures. This article will give you a step-by-step guide on how to run a contest, with 7 actionable steps you need to take. You’ve likely heard this a million times, but I’ll say it again: To run a successful contest, you need to know your goals. 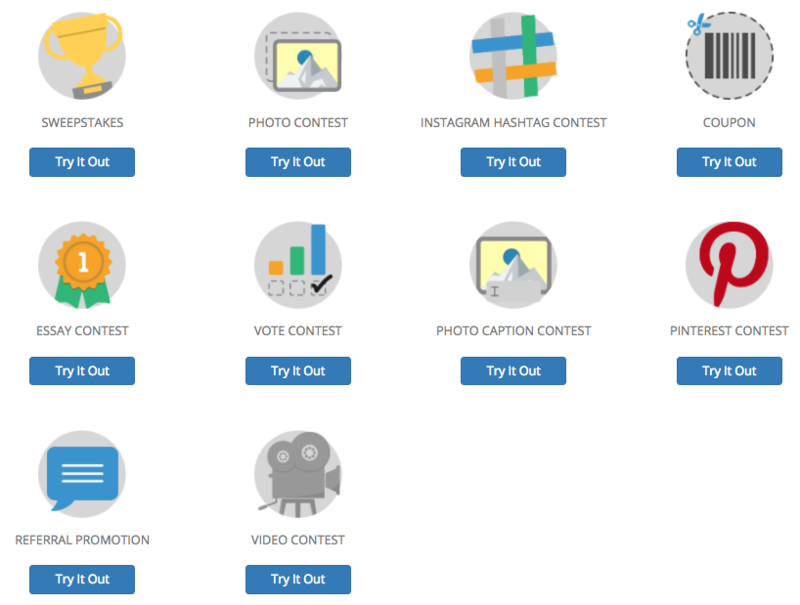 There’s really no shortage of strategies for how to run a contest. So, drive your success by defining the outcomes you need. Your contest's goals should be aligned with your business and marketing objectives. 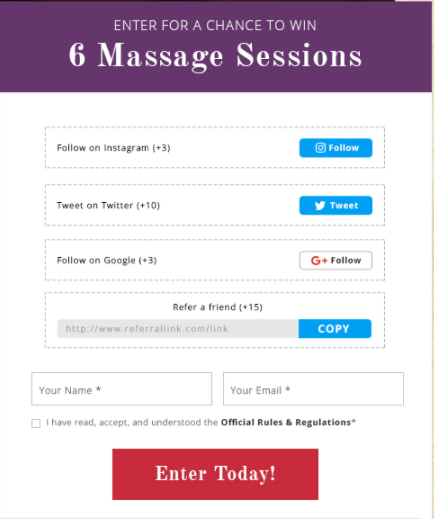 You need to know who you want to enter your contests, too. This’ll give you a much better focus on how to run a contest and how you’ll market it (this is especially important if you consider using Facebook Ads to promote your contest as it will determine your ad audience). The next step in our "how to run a contest" strategy is to plan out your campaign details. Sweepstakes - These are the easiest for people to enter, and to win. The prize is key to getting lots of people to enter. Vote Contests - These also have a low barrier to enter (so you’ll get more participants). Give customers choices to vote on, and to be heard by your company! Photo Contests - These contests have a slightly higher barrier to entry, as you’re asking for people to give you their photos. They’re a lot of fun, and can get you tons of user-generated content (UGC) (read authentic marketing photos). Essay Contests - These generally ask a little more from participants. You’re asking people to write a few words about a topic you choose. Make the topic brand related to get more feedback from entrants, or get more brand awareness. Video Contests - These ask your entrants to make a video and submit it to you. Like a photo contest, video contests can be a lot of fun, and you can get lots of UGC, and even some customer insights! Include a voting element to get more people engaged with video contests. 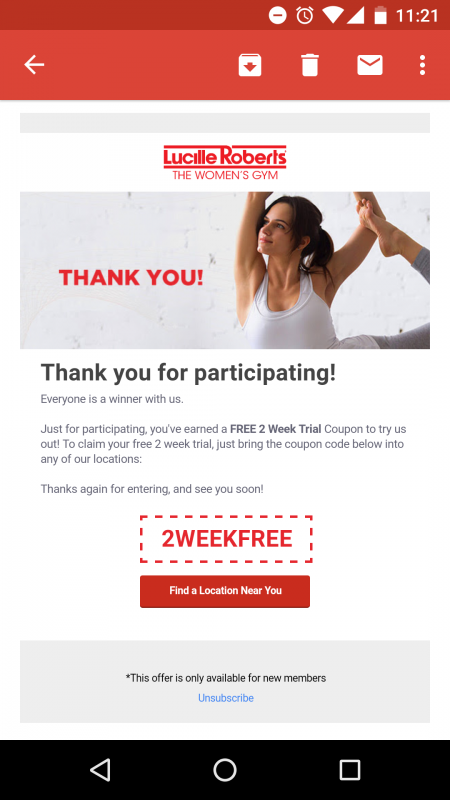 Coupon Offers - These are easy to enter, like the sweepstakes. They give your business immediate sales. If you’re not sure which type of contest you want to run, try one out, or try out a few, and see what works best with your business and target market. The prize is super important to how successful your contest will be. You need to have an offering that will motivate your customers to make the effort to enter. For inspiration, check out our article "101 Best Prize Ideas to Give Away in Online Contests & Competitions." Get these steps right, and your contest will get you lots of entrants who are genuinely potential customers. For example, don’t just give away the latest iPad and expect to get participants who are interested in you. They’re only entering for the prize. Give away business gift cards, your latest product, or something unique and cool to your business. Keep them in budget, too. Check out more on how to use incentives to get more fans and followers. Decide on the frequency and time frame of your campaigns. Short, weekly contests build momentum and habits in your customers. Your prize is very important. Keep them related to your brand, desired by your market, and suited to your contest ask. You have the theory in place. Now it’s time to act. Build your contest. Make your marketing life a whole lot easier: use a social media marketing app. 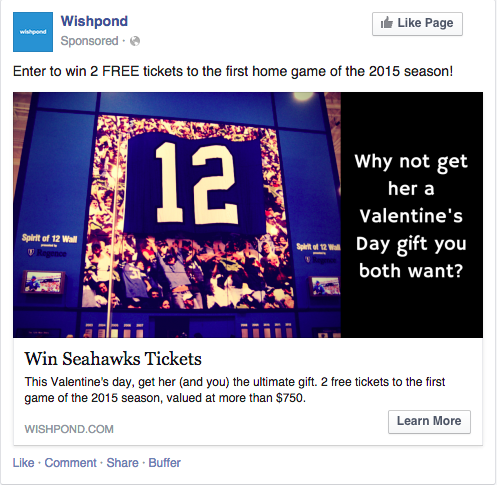 There are a number of contest apps out there, but I’m biased, so I’d suggest you use Wishpond. No other platform has the email tools we do which makes the conversion of contest entrants possible. But anyway, enough about us. Contest details: Enter where you campaign will appear, entry methods, time frame etc. 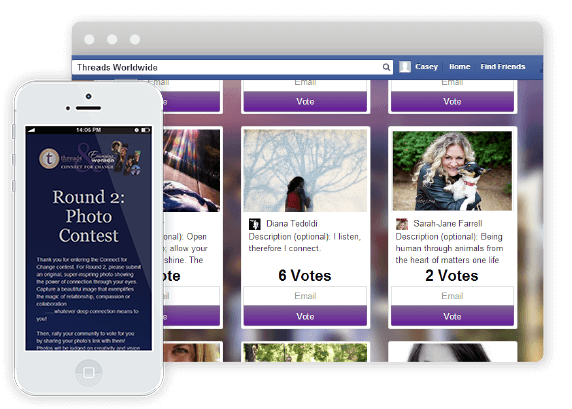 Use a third party app to build your contest - it will make your life a lot easier! Once you’ve got your contest up, you’ve got to get people to enter. Market it through social media channels, and even offline too. Send an email blast: Email your customer email lists, and tell about their awesome chance to win. They’re the one most likely to enter first, and they’ll likely share with friends, too. 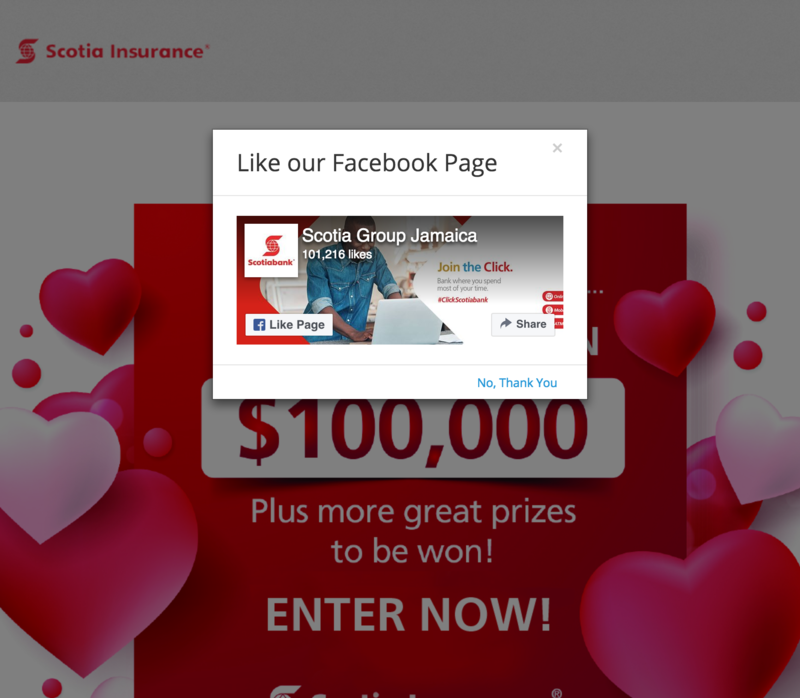 Promote contest on social networks: Share your contest on Facebook, Twitter, Instagram, Google+, Pinterest, and any other social network you’re on. Encourage your Followers to share your contest too. Create ads: Make targeted Facebook ads. 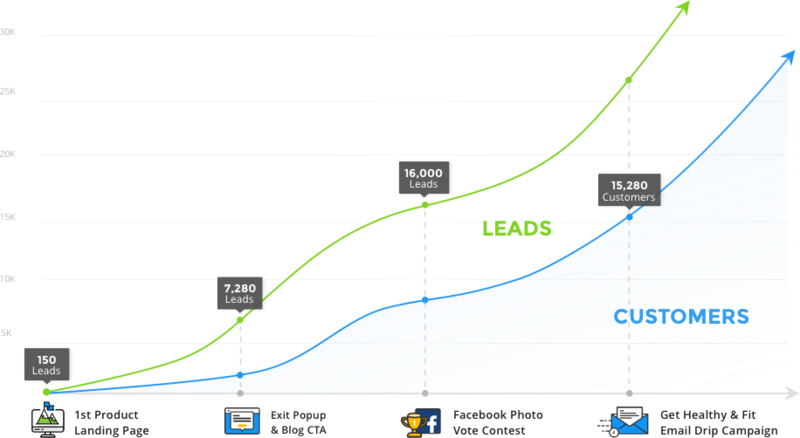 Check out How to Ensure a Successful Contest with Facebook Ads for more. Market your contest in print: If you still market using printed materials, promote your contest this way. Use printed flyers, with QR codes linking directly to your contest. Make a newspaper ad with your contest. To be a good marketer, and to get the best results that you can, you need track and monitor your key performance indicators (KPI’s). You need to: * Monitor your contest in real-time, so you can improve your contest and real-time marketing. * Monitor your metrics to get measurable success , and prove your ROI. If your website has Google Analytics, track contest page visits, referral traffic, and other website traffic. Increase your marketing on high referral sites. Track visitors to your website, using the backend analytics on your site - your analytics will vary if you have a wordpress site, an etsy store, a shopify site, an ebay store, etc. Congrats! Your super successful contest has ended. Now’s the time to deepen your entrants’ relationships and turn them into loyal customers. Choose a winner, and let them know: Ok, whether it’s through on a random draw, a panel of judges, or public voting - choose your winner(s), and let them know what they’ve won. Share the win on social networks: Mention the winner(s) and prize(s) on your social sites. This gives you one more opportunity to talk about your contest to your social connections. If you have UGC - showcase the winner(s) (and runners up): Use your new photos, videos and essays and post them on your social sites and website. Send a follow-up email: Send an email to all of your participants. Thank them for participating in your contest - and invite them to your next one. You could even offer everyone a small discount just for participating. Learn from your blog contest. Check your metrics. Analyze what went well and what didn’t. Run your contests every week, for example. This builds habits in your consumers, and momentum for your contests. What do you think? Have you hosted a contest, sweepstakes or group offer on your blog? How did it go? Share your advice in the comments below.